Does your company have a brand identity that is more than just a logo? While a logo is a good place to start, you should consider building your “visual position” to be something larger. Building a system for your brand allows you to meet the demands of different media, while still presenting a cohesive identity. The more elements you can establish as your basic look and feel will mean that variations from that scheme won’t make your brand identity disintegrate. A logo is a graphic symbol, whereas a wordmark or logotype is just the words of your company or product name set in a specific, fixed way. Your logo or logotype is the core of your brand identity. It can be a difficult to determine whether or not you need a symbol (a traditional logo) or just a logotype. Some organizations choose a only wordmark because they are simpler design projects that generally cost less. 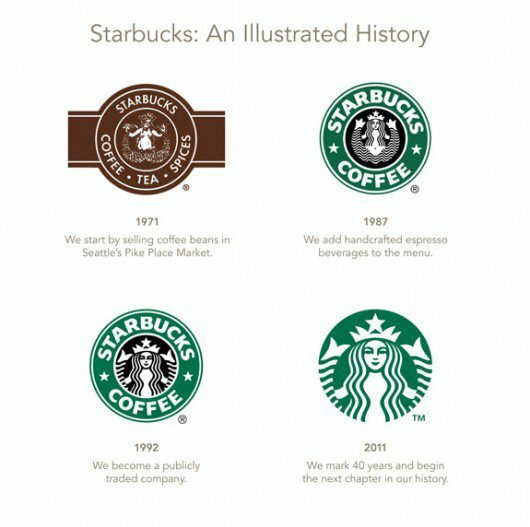 Another factor is whether or not a memorable symbol can be designed that will show how your business is unique. A well-crafted wordmark can convey a sense of professionalism without trying to visualize your brand. There are many examples of brands with strong wordmarks include: Coca-Cola, CNN, Mobil, and FedEx. The words that make up the name should be professionally designed and typeset—this is true if they are stand alone or beside a symbol that is part of the logo. While your logo should always be rendered consistently, you will need variations based on placement and usage. For example, you may need color and black and white variations, you may need versions for horizontal and square applications. But they all should have the same essential qualities. It used to be that designers were thinking about newspaper ads when they made sure that a logo rendered well in black and white. Nowadays, it’s probably more critical that your brand shines through as your social media profile graphic. Generally, these avatars are square in proportion, so a square or circular logo easily works. If your logo doesn’t start that way, make sure it can be cropped or sized well. By contrast, you’ll probably also run into a case where you need a horizontal version of your logo. We’ve run into this frequently when trying to place logos into web site or software, or onto promotional items such as pens. A corporate color palette is usually defined by the colors in a logo. Often these are one or two colors only, although some are more complex. When your designer hands over your logo files, make sure you are told the Pantone colors, CMYK and RGB or web colors for your logo. 4. ADDITIONAL COLOR PALETTE OPTIONS. In addition to the colors in your logo, what other colors complement them? This can be loosely defined such as: bright and bold, pastel, or cool colors. Or, they may handpicked from a color swatch book. These additional colors are often what really brings together (or makes a disconnect) from one point of contact to the next. To ensure consistency, pick out a palette or core and secondary colors and find the values of these as Pantone, CMYK and RGB so that everyone who touches your brand can quickly and easily make good choices. Choose just a handful of fonts to be used in printed materials. Often these typefaces come from the logo design. However, the styles of your logo may be too decorative for letters or proposals. Finding complementary type faces to use throughout marketing materials will created a unified brand identity. Whenever you work with an outside designer or marketing firm, make sure they know your corporate typefaces and have access to them. Additionally, figure out how to make your corporate typefaces available on all the computers that will create key documents such as PowerPoint presentations and proposals. An electronic version of your letterhead will ensure consistency. Remember, not all fonts are available in both Mac and PC version, so if multiple employees will be creating important documents make sure that your designer is choosing compatible fonts. Your typographic identity should include ways of handling key types of text, especially your tagline (if you have one) or your web address. This begins to move outside the box of design and into editorial standards. Developing a consistent way of writing and styling headlines or pull-out text really begins to create a distinct voice for your brand. Work to make these similar from one application to the next. Pay attention to the way you write your URLS, or the way you capitalize your headlines. You don’t need to use the same photos over and over again, but all imagery should have a consistent look and feel. Maybe the photos are brightly lit and the subject is looking right into the camera. Or, the photos have a subtle color palette and the people never look at the camera but are engaged in their activity. Photos could be close-ups, soft focus, or crisply detailed. You don’t need to use photos! You can use line art, illustrations or just charts and graphs. Whatever you choose, use a consistent style in all materials, whether printed or online. These are all the small details that really build a branding system. It could be a handmade texture, a line style treatment, a use of white space or color blocks. It’s really how the seven items listed above come together into a unified and recognizable brand identity. This is usually when do-it-yourself solutions start to suffer. When you are relying on pre-made templates and free images from your web site provider, you usually don’t have the rights to use the imagery across all channels. Additionally, you may lack both the design sense and the tools to do this all yourself. A professional graphic designer can pull together a cohesive look for you and set you up with style guides and libraries to create a distinct look for your brand. When you have a comprehensive and broadly built graphic identity, it creates a foundation for a rock solid brand identity. The truth is, that once you start making things, your identity standards are going to be tested.